Year One came to the IRC to officially take part in the National Simultaneous Storytime event for 2016. 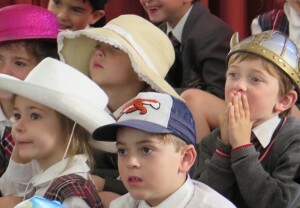 The students all came appropriately dressed with hats representing many things – from Vikings to sportsmen. After some activities involving hats the students listened to the book version of I got this hat by Jol and Kate Temple, they then watched a few renditions online from the NSS site. We also really enjoyed the illustrated Auslan version in sign language. 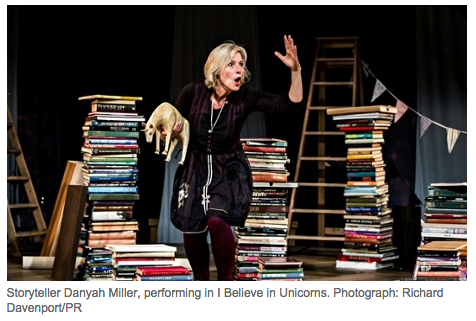 Danyah Miller writing for theguardian.com on Monday 6 October 2014 shares ideas about ten ways to make our storytelling come alive for children. Click the picture to see more about this event! 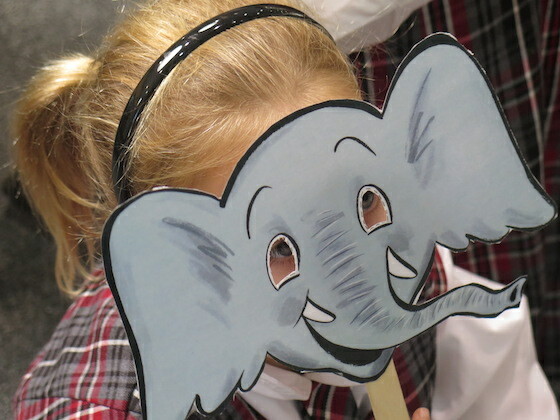 Our school registered to take part in the National Simultaneous Storytime again this year. 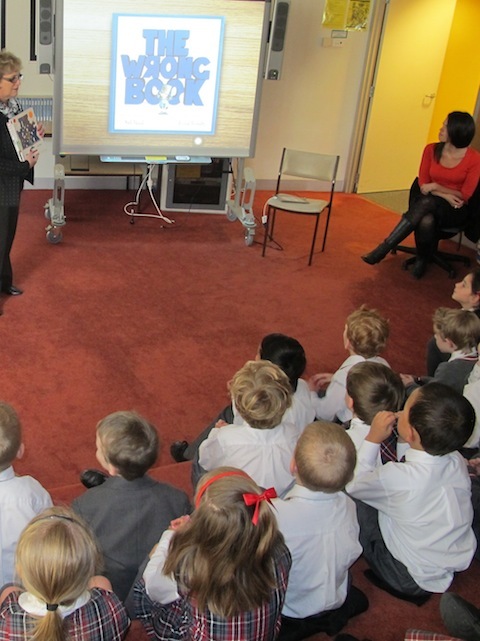 The three Kindergarten classes came to the IRC to listen to and read “The Wrong Book” by Nick Bland at precisely the same time as school libraries and public libraries all over Australia did the same. Once again the story was brought to life by using an iPad app of the book projected onto the interactive whiteboard. Discussion of the characters and story followed after which students were provided with paper craft activities based on characters in the story. The students remembered the story from last year’s National Simultaneous Storytime, seen when in Prep, and we watched and listened to this book again as well.